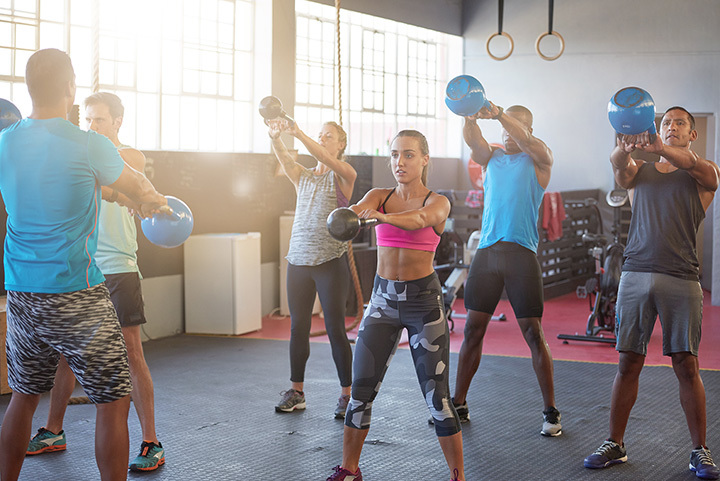 If you’re interested in something a little more creative and intense than your regular trip to the gym, CrossFit just might be for you. This high-intensity and rigorous workout combines features of Olympic weightlifting, gymnastics, strongman, and other exercises. If you’re looking to push yourself to the limit, check out the 10 best CrossFit gyms in Mississippi. Intimidation-free and overwhelmingly supportive. That’s the motto at Gulfport CrossFit. They have an expert training staff to help you make the most of every movement and can help you plan your workouts to deliver the right results. Curious about CrossFit? They offer a free No Sweat intro to let you try it out for yourself. One of the best parts of Bandit CrossFit is the ability to share your workout passions with others. They offer a variety of group classes led by highly skilled coaches that help you maximize your time while gaining support from your peers. You can book a free intro session to see what it’s all about. Oxford CrossFit instructors don’t just focus on movement. Here, it’s all about lifestyle change. In addition to helping you hone your workout, you’ll also learn how to develop other healthy habits that will help you reach your goals even faster. Their fans agree it’s one of the most laid-back gym environments they’ve ever experienced. If you’re not sure if you can be successful at CrossFit, this place will eliminate your doubts. They start every person with one-on-one classes to access your fitness level and help you map out your goals. They’ll help you create a workout plan that’s within your abilities and walk with you every step of the way. It’s everything a gym should be, and then some. This gym knows how to support newcomers and turn you into a fearless CrossFitter. Their fans love the group support that comes from coaches and members alike. If you thrive on community spirit, this is the place for you. This huge space is fully loaded to help you master your workout. As a full-service gym, they’ve got plenty of equipment to go around, including lockers. If you’d prefer, you can book an entire intro week for free to learn more about their process. Their guests agree this gym is more like a community of friends. They offer classes for adults and kids alike, helping each person to maximize their own strengths while forming new ones. You can catch a glimpse of each day’s workout on their website so you know exactly what to expect. All ages are welcome here. They have a variety of programs designed for a range of fitness levels and abilities, so no intimidation needed. You can schedule a free consultation via their website and let them show you what they’re about and how they can help you become a better version of yourself. Fans of Steel Monkey CrossFit love how clean and organized the gym feels. Despite the large inventory of equipment, they’ve made this space a welcoming environment that doesn’t overwhelm. Their professional trainers will take you from zero to athlete in no time. This massive CrossFit gym has built a strong community of athletes and other fitness-focused individuals to create an atmosphere that’s friendly and supportive. Members can bring a friend for free on Saturday, so join the fun with someone you know.